The global mobile location based services market has exhibited a steady rise in the past few years due to its steady incorporation in the daily lives of citizens in developed as well as developing regions. The expanding application base is likely to remain vital for the global mobile location based services market in the coming years, as mobile location based services are necessarily used as a channel to access other services. 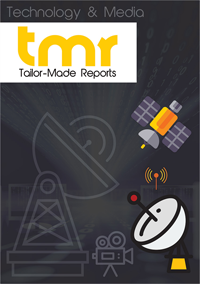 Moreover, the rising demand for precise and increasingly sophisticated navigation capabilities has also driven the global mobile location based services market and is likely to remain a key factor in the mobile location-based services market’s development in the coming years. The ready adoption of mobile-based ordering and booking systems is a key factor in the rise of the global mobile location based services market. A growing demographic of urban consumers, particularly in developed countries, has become a steady consumer of mobile-based food and entertainment ordering services. The rapid growth of the food and beverage industry to accommodate the rising demand is likely to be crucial for the global mobile location based services market in the coming years. Recognizing the commercial potential of providing mobile-based access to booking systems, many providers in the food industry as well as the entertainment sector have readily participated in the mobile location based services market. The consistent acceptance of technological upgrades in these consumer-centric industries is likely to remain a key driver for the mobile location based services market in the coming years. The rapid urbanization in Asia Pacific is likely to make it a key regional contributor to the global mobile location based services market. The booming consumer electronics industry in the region will also play a key role in the growth of the global mobile location based services market. The global mobile location-based services market is gaining immense popularity, owing to its acceptance in the mainstream market. In addition, the increase in the utilization of smartphone apps across the globe is expected to accelerate mobile location-based services market growth. Users of mapping and navigation services are growing; however, the revenue is increasing at a steady pace as competitors are offering low or free of cost services. Nevertheless, the emergence of Internet of Things is likely to contribute towards the development of the mobile location-based services market. The research study on the global market for mobile location-based services presents an in-depth analysis, focusing on the key factors that are estimated to impact the growth of the market. In addition, an overview of the competitive landscape of the market has been provided in order to offer a strong understanding for readers and market players. The increasing adoption of business intelligence and the growing focus on technological advancements are some of the main factors expected to propel the global mobile location-based services market in the coming years. In addition, the expansion of the application base leading to high demand is projected to offer promising opportunities for the key players operating in the global market. Furthermore, the tremendously rising use of smartphone and other mobile devices is likely to drive the demand for mobile location-based services throughout the forecast period. The untapped opportunities in developing economies are further anticipated to supplement the growth of the market. The global mobile location-based services market has been divided on the basis of geography to offer a detailed understanding of the market. The key segments of the market include Asia Pacific, Europe, North America, and the Rest of the World. As per the research study, North America is projected to witness high growth in the forecast period. Moreover, this region is expected to account for a large share of the global market by the end of 2025. Technological advancements and innovations are some of the important reasons encouraging the growth of the mobile location-based services market in North America. The global mobile location-based services market is expected to grow at a significant pace throughout the forecast period. The lucrative opportunities in the market are attracting several players to enter and create a brand name, which is expected to result in a stiff competition. Some of the key players operating in the market are TomTom N.V., Garmin Ltd., Foursquare Labs Inc., and Telecommunication System Inc.